The defining feature of Norway’s coastline are the many fjords that cut into the interior of the country providing waterborne access inland. Fjords are so characteristic of Norway that two, the Geirangerfjord and the Nærøyfjord, appear on the UNESCO World Heritage list as being not only the among the grandest and most spectacular in Norway, but as typifying fjord landscapes worldwide. Norwegian fjords, with their long narrow valleys and steep sides are the result of glaciation predominantly during the Tertiary and Quaternary Periods. As glaciers advance they gouge deep U-shaped valleys, which in Norway, and elsewhere, were backfilled by the sea as the ice receded during inter-glacial periods. In Norway the result is a jagged tangle of fjords, inlets, islands, and skerries that make its coastline perhaps the most complex in the world. Arguably, Norway’s fjords have had a strong influence on its history, and social and cultural development, offering accessible transport and trade routes in a region where travel inland can be difficult due to the terrain. Their natural resources have provided fish, fresh water, and fertile soils for farming, thereby dictating patterns of settlement. While access to navigable water routes has allowed for easier transport of the products of mining. Tjuvfjorden separates the promontories of Kvalpynten and Negerpynten on the island of Edgeøya in the Svalbard archipelago. It was originally named Deicrow Sound after Benjamin Decrow, a prominent member of the Muscovy Company, an English trading company chartered in 1555 that enjoyed a monopoly on English trade with the Grand Principality of Moscow until 1698. 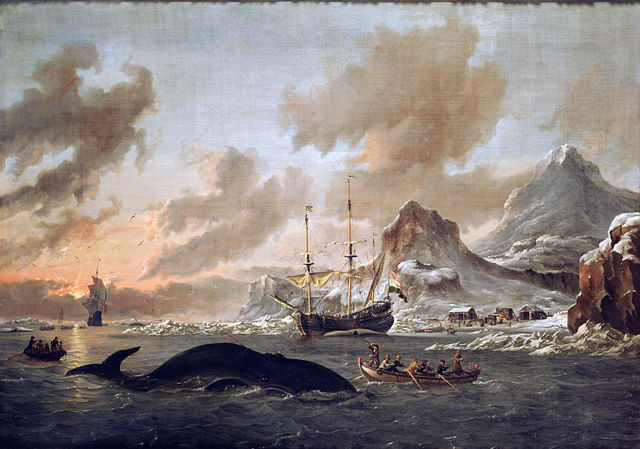 In the early years of the seventeenth century, Svalbard, or Spitsbergen as it was then known, was the scene of intense rivalry between Dutch and English whaling and fishing fleets, both laying claim to exclusive rights over the commercial exploitation of the area. Often supported by their respective navies, the Dutch and English captains were willing to defend their rights vigorously, effectively engaging in piracy by seizing their rivals ships and goods. By the 1740’s, Russian trappers seeking white-whales, walrus, seals, bears, reindeer, and foxes were present in Svalbard. In 1743, four sailors found themselves stranded on Edgeøya when they temporarily left their ice-bound ship to search for a rumoured hut on the island, only to find the following day that the ice-pack had carried it and the rest of the crew out to sea. Showing a great deal of resourcefulness, three of the sailors, Alexis Himkof, his godson Ivan Himkof, and Stephen Scharapof, survived on the island for six years. The fourth, Feodor Weregin, died of scurvy shortly before they were rescued. Constructing spears from driftwood and scrap iron, a bow strung with the tendon of a bear, and arrows, they were able to hunt for food and furs, accounting for 150 reindeer, many foxes, and ten bears. Meat was sometimes smoked, but more often eaten raw due to the scarcity of fuel. Furs and skins were made into clothing. Driftwood was used to make tools and to patch up the abandoned hunter’s hut that became their home. 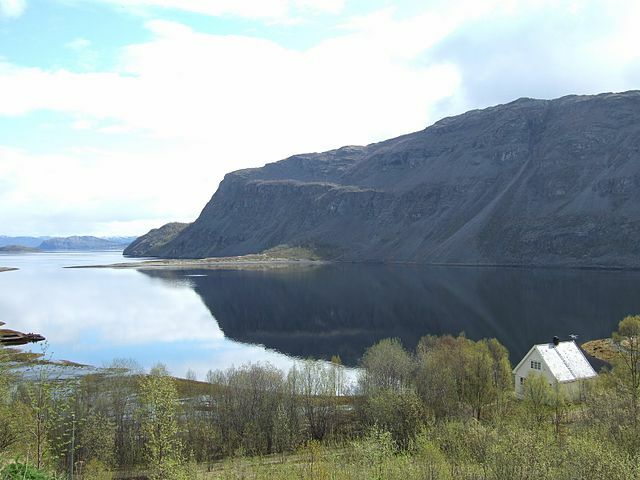 The Kåfjorden is a branch of the Altafjorden and lies in the Finnmark, Norways’s most north-easterly fylke, or county. During the Second World War, the Kåfjorden was used by the Kriegsmarine as anchorage for the Bismarck-class battleship, the Tirpitz. Along with other Kriegsmarine vessels based in Norway, the Tirpitz posed a threat to the Allied Arctic convoys which supplied the Soviet Union with materiel and food supplies as part of the Lend-Lease program established by the United States in 1941. 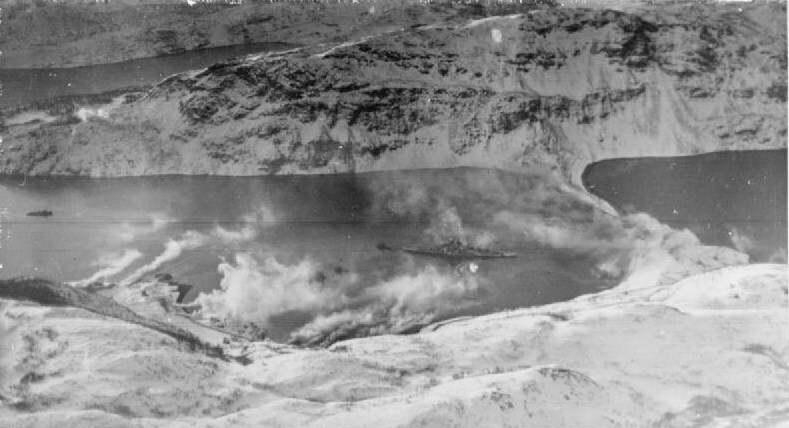 While the biggest threat to the convoys came from submarines, the presence of the Tirpitz diverted Royal Navy resources from other theatres due to the requirement to contain the battleship. Between October 1940 and October 1942, the Royal Air Force had attempted twelve attacks on the Tirpitz without inflicting damage. The only naval engagement of the Tirpitz in May 1942 during Operation Sportpalast had resulted in no contact with enemy shipping. While the attempt to sink the Tirpitz using Chariot manned torpedoes in October 1942 had been aborted when both Chariots came adrift from the towing vessel in heavy seas. By July 1943, the Tirpitz was anchored in the Kåfjord protected by anti-torpedo nets. The British, realising that aerial bombing attacks were ineffective, and writing the use of Chariots off as a bad job, planned Operation Source, an attack using midget-submarines in which mines would be placed on the seabed with the resulting blast and shockwave intended to cause significant damage to the vessel being attacked. On September 22, 1943, three X-Class midget submarines breached anti-submarine defences in the Altafjord and Kåfjord, two of which, X6 and X7 successfully laid mines. The third, X5, was sunk when spotted by the Germans. Of the twelve Royal Navy personnel engaged in the attack, six were killed, and six taken prisoner for the rest of the war. Damage to the Tirpitz from the exploded mines was extensive causing significant mechanical damage, repairs to which were not completed until April 1944. Following Operation Source a further thirteen attacks were launched by the Allies against the Tirpitz. The final attack, Operation Catechism, carried out on November 12, 1944, by No. 9 and No. 617 Squadrons of the RAF caused the Tirpitz to capsize with the loss of up to 1,204 men. Forfjord is located in the fylke of Nordland on the island of Hinnøya. 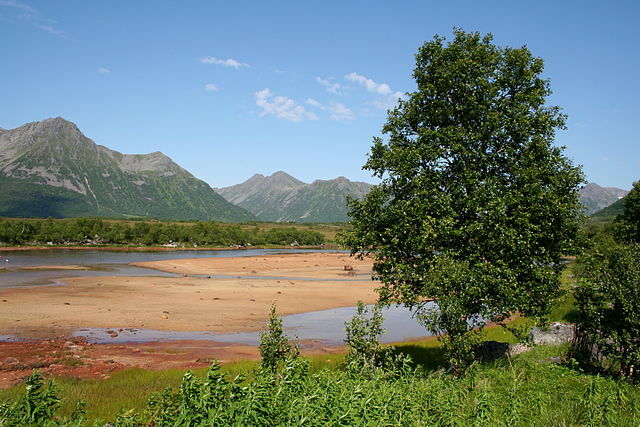 It’s name derives from the Norse for ‘pine’, furu, and the Forfjord valley is now the location of the Forfjorddalen nature reserve, which contains ancient pine and birch forests, with some of the oldest pines thought to be up to 1,000 years old. Wood is an important commodity for Norway, with approximately a quarter of the country’s land area covered by forest, totalling 952 million cubic meters of growing stock. The majority of this natural resource is spruce and pine, with just over a quarter being broad-leaved trees. While forestry’s contribution to national wealth has fallen from as much as 10.4 per cent of GDP in 1845, to 0.76 per cent of GDP today, it still employs significant numbers in local economies such as Grane where 19 per cent of the workforce is employed in forestry and related industries. Thanks to long-sighted government planning with the co-operation of private industry, Norway’s forests are managed so that the development of mature timber resources outstrips logging activity. 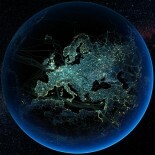 In 2012 the potential annual value of timber to the Norwegian economy was estimated to be 43 billion Norwegian krone. By 2016 this figure had risen to 60 billion krone, with ambitious plans from the Norwegian government to ultimately generate 180 billion krone in annual turnover by 2045. 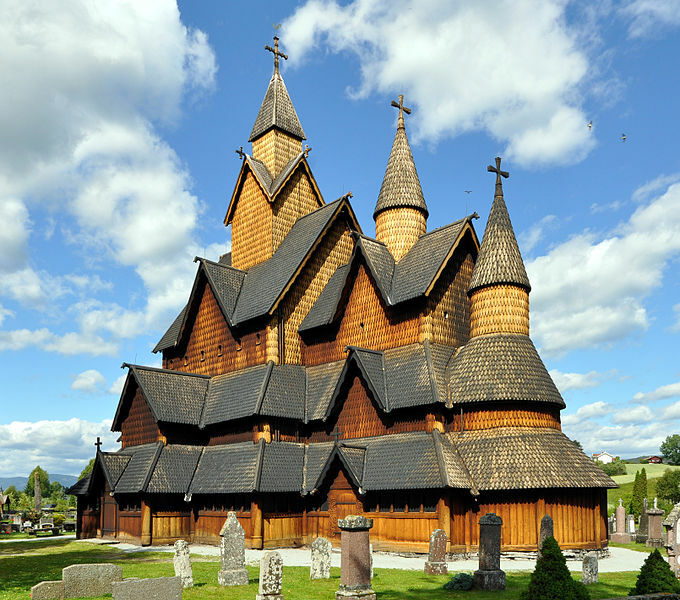 Much of this increased value is expected to come from the greater use of wood in building construction and construction, and Norway is well placed to implement this with its long history of building homes and churches from wood, as well as in ship building. A growing interest in environmentally friendly architecture and a renewed acceptance of the utility of wood has led to Norway leading the world in wooden construction. The Svartlamoen housing project in Trondheim, completed in 2005, provides social housing and student accommodation and is regarded by many as the construction project that confirmed the utility of large wooden buildings. Since Svartlamoen, a number of other wooden construction projects have been completed including Treet, currently the world’s tallest timber-framed building at 14 storeys and 50 metres high. Construction is currently under way in Brumunddal to build the Mjøstårnet, an 18 floor, 80 metre high timber-framed building that will house apartments, a hotel, offices, a restaurant, communal areas, and an indoor swimming pool. Such developments demonstrate the advantages of using wood for construction. Lightweight and strong, wood is also easy to work with, can be as fire retardant as many man-made materials used in construction, and is sustainable, particularly in Norway with its tradition of effective forestry management. Aarseth, Inge, Atle Nesje, and Ola Fedin. West Norwegian Fjords. Geological Guide S 2014-3. Trondheim: Geological Society of Norway, 2014. IHS Jane’s. “Country Reports – Norway.” (April 2017): 1-33. This entry was posted on March 23, 2018 by aaroncripps in Architecture, Barents Sea, Eighteenth Century, Fishing, Geography, History, Industry, North Sea, Norway, Rivers and Seas, Seventeenth Century, World War Two and tagged Architecture, Barents Sea, Fjords, Forestry, Forfjorden, History, Kåfjorden, North Sea, Norway, Norwegian History, Second World War, Spitsbergen, Svalbard, Tirpitz, Tjuvfjorden, Wooden Construction.